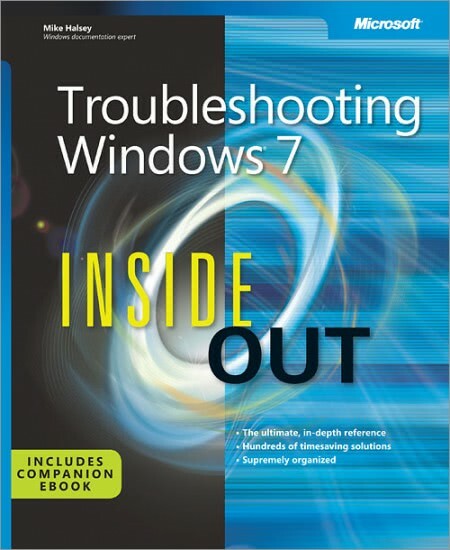 Mike Halsey, author of Troubleshooting Windows 7 Inside Out, is having a giveaway. While I’m a bit late to the party in bringing this news to you, I’m not bringing the after party. You still have several hours to get in on this. I recommend it as it is a great book. I am finishing up a review which will be posted very soon. So, get in to win it! The ultimate, in-depth reference for troubleshooting Windows 7 — from the inside out! This supremely organized book delivers hundreds of prevention tips, troubleshooting techniques, and recovery tools, with a companion ebook and additional content online. This is a simple competition too, all you need to do is the following.